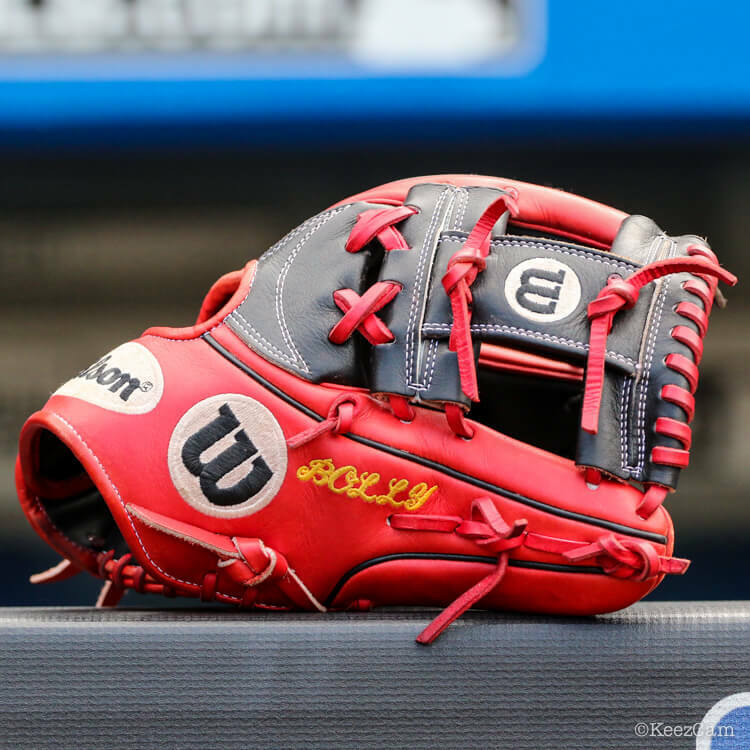 Ozzie Albies hasn’t gamed this Wilson DP15 model glove yet, but we’d like him to. There’s a good chance this glove is Albies’ future gamer, considering the sexiness. Get Albies’ red, black and white piece at the link. Categories: Ozzie Albies, Gear, Glove, Second Base, Atlanta Braves.